Working on some caricatures. I enjoyed the first season of HANNIBAL. These are made of some kind of hard modeling clay. 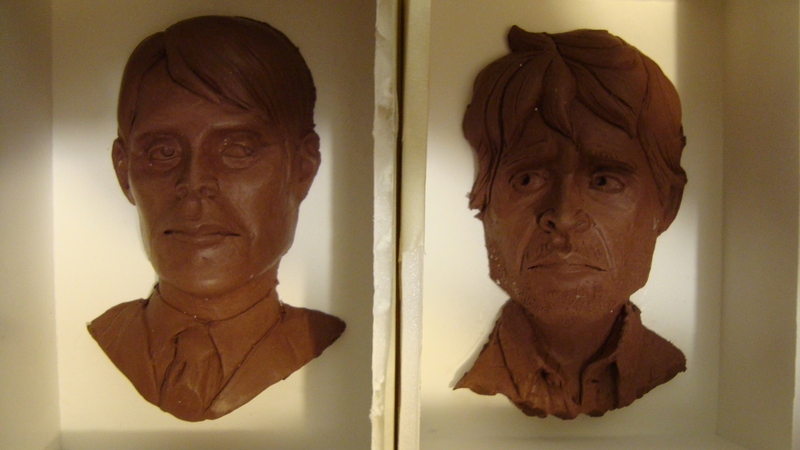 Hannibal was relatively easier to caricature; Graham was more difficult. Next, they’re both boxed up- like so much take-out dinner- to be molded. Later, they’ll be painted. 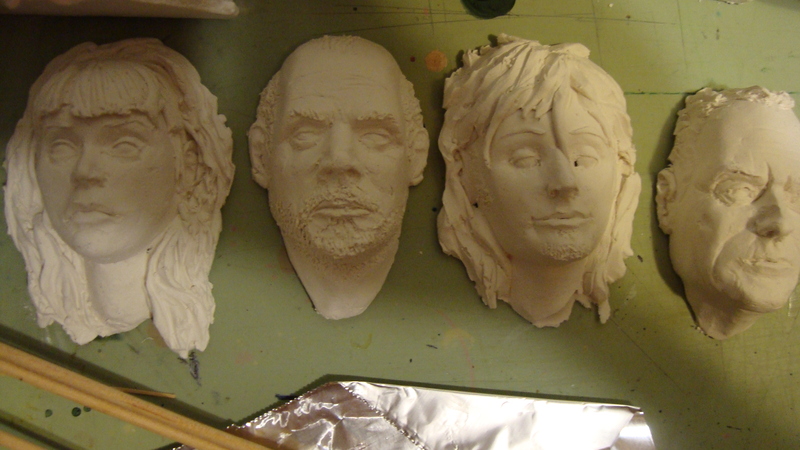 I just made some brush-on silicone molds with Smooth-On Rebound 25 for four of the faces I’ve been sculpting. Ordinarily I’d cast these pieces in some kind of plastic resin. The problem is I wanted to make several of these, and the resin heats up when curing, which can warp the silicone mold. Plaster, another cheap alternative, does the same thing. Eventually I settled on Creative Paperclay, which air-dries. It worked really well! The innermost parts of the mold, noses, brows, chins, were still wet when I pulled them out of the mold, but they held the shape and just needed to be exposed to air to dry. I’m pretty pleased with the results. Now to paint ’em.